Muskoka has seen its fair share of resorts come and go. Way back at the end of the 19th Century, these charming-yet-rustic vacation lodges attracted city-dwellers to the district’s tree covered shores to escape the hot summer months. The breathtaking scenery, clear lakes, and fresh air provided a chance to escape not only the heat of summer, but also the congestion and pressures of business. As word of this wild paradise spread, wealthy entrepreneurs from across Canada and the US joined them, building their own version of the grand hotels. Many of these original inns and lodges in Muskoka Ontario survived the years and are thriving, joined by a whole new breed of luxury hotels and boutique accommodations. Today, there are over 80 Muskoka resorts to choose from, ranging from sprawling 5-star hotels to elegant family-run cottage resorts that focus on the experiential side of luxury, providing a taste of authentic Muskoka. Whether you’re looking for a wilderness retreat or a romantic couples getaway – perhaps a combination of both – or even a world-class spa destination that just so happens to have a championship golf course, we can help with our list of the Top Luxury Resorts and Hotels in Muskoka. 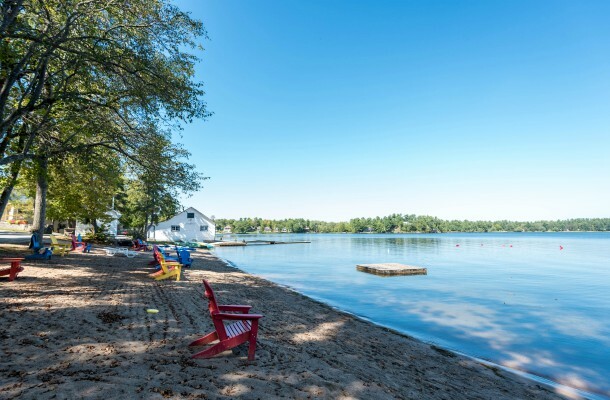 Situated on 22-acres on beautiful Lake of Bays, Port Cunnington Lodge has been welcoming vacationers to Muskoka since it first opened its doors in 1890. Popular for its authentic Muskoka ambience, the resort’s original Victorian style lodge is still very much its centerpiece. Here you’ll enjoy sumptuous meals in the original dining hall, as well as participate in fun activities enjoyed by young and old alike. Another highlight is the lodge’s 1,800ft of shoreline, where guests enjoy a diverse array of activities from swimming to sunbathing to boating. The resort’s cozy cottages and vacation homes are dotted around the property and offer superb views over the lake. A number of large luxury family vacation homes are also available, including two state-of-the-art eco-friendly cottages, each boasting four bedrooms, 4½ bathrooms, plus a separate single-bedroom guesthouse attached by a deck. All told, each of these elegant cottages can accommodate up to 20 guests. 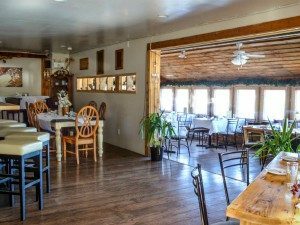 Port Cunnington Lodge also offers a variety of traditional-style accommodations, with some of the older (but still wonderful) lake-view chalets ranging in size from 1,300 to 3,000 sq ft. Adding to the lodge’s appeal is the fact that each of these cottages possesses its own distinct character and charm, adding an intimate, almost village-like feel to the property. For a truly memorable luxury vacation in Muskoka, check out Port Cunnington’s ‘Stay & Play’ golf packages. Run in conjunction with nearby Bigwin Island Golf Club (you can see the island across the bay), your package includes a night’s stay, dinner and breakfast, a round of golf on Bigwin plus use of their practice range, a complimentary cart, and shuttle ferry service. For more information including rates and reservations, visit the Port Cunnington Lodge website at https://portcunnington.com. 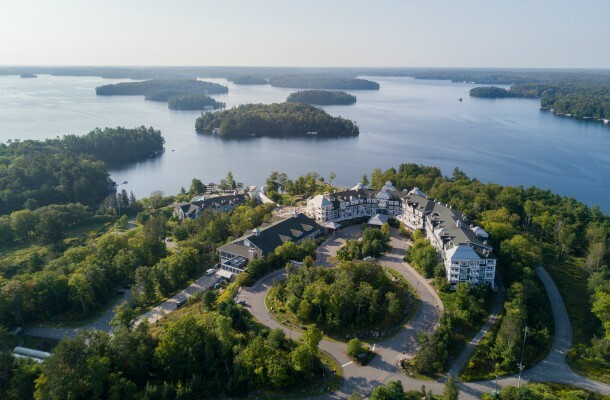 Blessed with some of the best lake views in Canada, the JW Marriott The Rosseau Muskoka is perfect for those seeking a luxury resort getaway in cottage country. Perched 100ft above Lake Rosseau and its many multi-million-dollar summer homes, Ontario’s only JW Marriott boasts world-class amenities including a private beach, year-round indoor / outdoor heated swimming pools, a modern fitness center, and a selection of superb food experiences, including the fine-dining Teca and Chophouse restaurants, and the casual Cottages eatery. The lobby and bar areas – all recently renovated and restyled – are a delight to lounge about in, as are the huge terraces and patios overlooking Lake Rosseau. The accommodations, too, are elegant and roomy, and include everything from standard hotel rooms to spacious suites with separate bedrooms. A must-do is spending time at Spa Rosseau, a multi-level spa area that offers bespoke services including a Hydrospa that’s popular for its massages and oxygen facials. The resort also offers great programs for adults and kids alike, from arts and crafts to guided nature hikes and kayaking adventures. Come winter, it’s all about activities such as snowshoeing, skating, and snowmobiling. 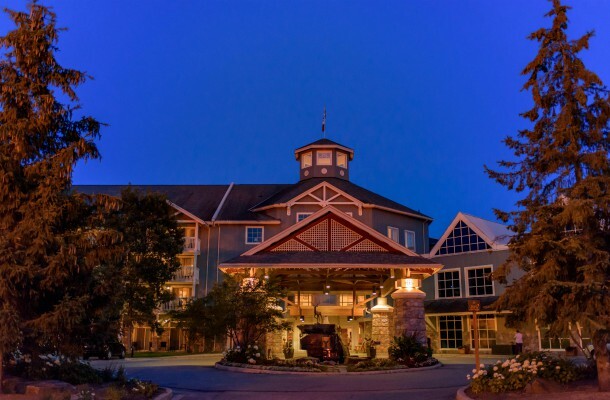 Founded in 1896 near the town of Huntsville and one of Ontario’s oldest (and largest) resorts, Deerhurst can accommodate over 1,000 guests in its numerous well-appointed rooms and suites. Covering an area of 800-acres on Peninsula Lake, it’s a popular destination for outdoor enthusiasts, offering no end of fun family experiences from swimming and boating, jet skiing, and kayaking, to participating in sports such as tennis and golf (the resort boasts two excellent 18-hole courses). A new addition to the waterfront is the Sunset Bay beach and event space, as well as a thrilling wakeboarding cable park. 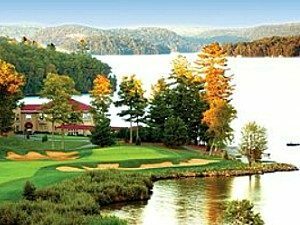 Deerhurst Resort is also well known as an entertainment hub, and it was here that country singer Shania Twain first performed. Add to this the superb fine dining in Eclipse restaurant (there are also a number of casual dining and bar locations), a luxury spa, and plenty of meeting space (Deerhurst hosted the G8 Summit in 2010), and you’re guaranteed plenty of opportunity to experience some serious indulgence. Located in Port Severn near Georgian Bay, the family-run Severn Lodge can trace its history back to the mid-1800s and continues to offer first-rate traditional Muskoka-style vacations. Featuring over 2,000ft of waterfront and 100-acres of land on a sheltered bay overlooking Gloucester Pool, Severn Lodge offers guests plenty of watery-fun. Highlights include having use of watercraft including kayaks and paddleboards, as well as touring in an antique Ditchburn classic wooden boat that has been in the family for years. Whether it’s for a romantic weekend or some quality family time, this all-inclusive resort offers vacation and getaway packages featuring luxury accommodations with spectacular waterfront views, fantastic food, and a variety of recreational opportunities. Supervised children’s activities are both educational and fun and include arts and crafts, picnics, water sports, bon fires, and corn roasts. Accommodations include the smaller lodges surrounding the main lodge, to individual cottages. For those wanting to do their own cooking, European plan housekeeping cottage packages are available with accommodations in fully equipped studio and three-bedroom suites and cottages. 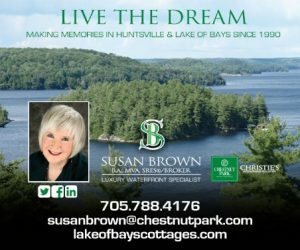 Bayview Wildwood Resort has been offering authentic Muskoka vacations in the lakeside village of Port Stanton on Sparrow Lake for over 120 years. As popular with families seeking fun quality time with the kids as it is with couples desiring a romantic weekend getaway – not to mention for reunions, conferences, and weddings – Bayview Wildwood has a variety of modern facilities and services to suit all needs. The resort offers a variety of accommodation options, ranging from standard lodge-style rooms to spacious suites, waterfront cottages, and historic houses. 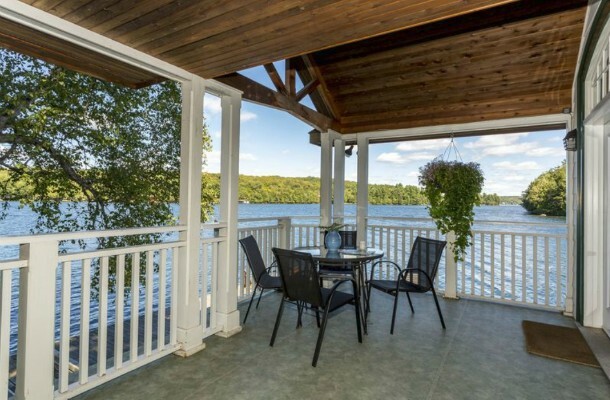 For those seeking a little luxury, check into one of the resort’s one-, two, or three-bedroom lakefront cottages. These luxuriously appointed units – part of the resort’s fractional ownership program – offer an authentic cottage experience while still allowing guests access to a range of resort activities and amenities, from swimming pools to tennis courts, as well as its great dining room. 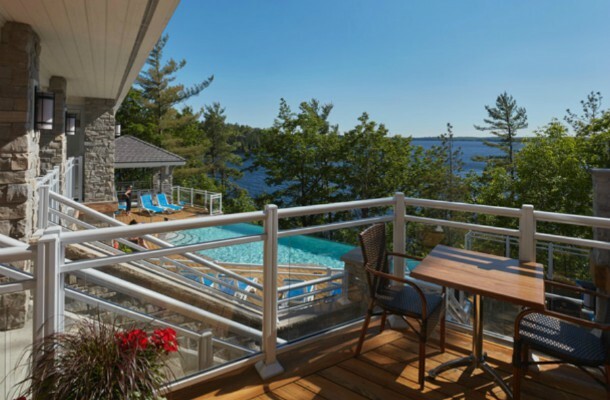 Located near Bracebridge on the shores of beautiful Lake Muskoka, Patterson Kaye Resort has over the years earned a well-deserved reputation as a provider of authentic Muskoka getaways. And for good reason. Here’ you’ll find everything needed for a great family vacation (or a romantic couples’ break), from exciting kayak or canoe excursions along the Muskoka River to simply relaxing poolside – or beachside – and taking a dip in the lake (it also has the distinction of being the closest resort to the famous Santa’s Village theme park). Be sure to also spend time enjoying a meal in the elegant Seasons Restaurant, too. Other notable amenities include motorized watercraft, water toys such as slides and trampolines, a hot tub, and mountain bikes. A variety of accommodation options are available at Patterson Kaye, including a luxurious multi-bedroom cottages perfect for larger groups. Of these, a great choice is the huge 3,000 sq ft Miller House Cottage capable of sleeping up to 12 guests. Also popular is the exquisitely decorated Gatehouse Cottage, which can host 11 comfortably. Part of the ClubLink group, the Rocky Crest Golf Resort on Lake Joseph offers plenty of reasons to want to visit. A highlight, of course, is its Tom McBroom designed championship 18-hole golf course. Framed by the region’s signature granite and pine backdrop – not to mention its proximity to ‘Lake Jo’ – it’s one of Ontario’s top golf courses. A variety of accommodation options are available, including spacious suites and villas perfect for a spot of après golf fun. 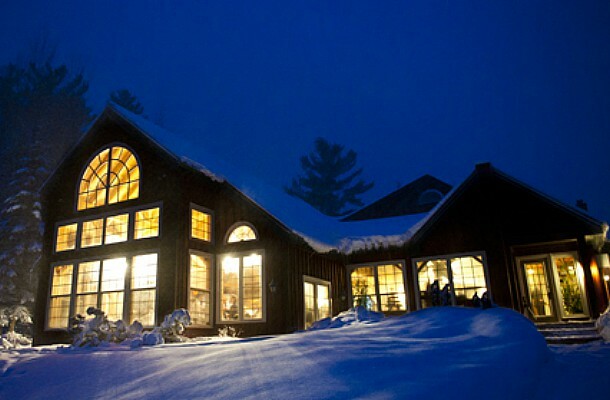 For a truly memorable luxury Muskoka vacation, book into one of Rocky Crest’s standalone cottages. These Muskoka-chic units consist of four bedrooms, two four-piece bathrooms, a full-kitchen with modern appliances, a dining room, plus a living room and fireplace. A nice added touch are the private patios with a screened ‘Muskoka room’ plus a BBQ. 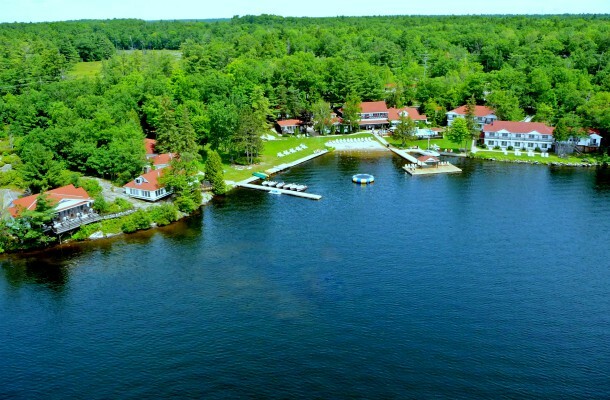 Another Lake Joseph vacation destination worth considering (and like Rocky Crest also part of the ClubLink group), the delightful Sherwood Inn occupies an impressive 1,560ft of prime Muskoka real estate in an area that’s known for its celebrity cottagers. In addition to its many outdoor activities – everything from boating to swimming and fishing is offered – there’s also a full-service spa on-site. And if you simply must squeeze in a round of golf, the excellent Lake Joseph Golf Course is close by. A variety of first-rate accommodations are available, ranging from modestly-sized guestrooms to spacious cottage suites, each boasting décor that reflects the rustic charm of cottage country. If available, book into one of the rooms featuring a genuine wood-burning fireplace and jacuzzi tub. If you’re looking for a truly authentic Muskoka getaway experience, check into the lovely one-bedroom boathouse suite. Offering spectacular lake views, a cozy fireplace, separate living space, jet bathtub, and a large private deck, little wonder it’s a favourite for couples. 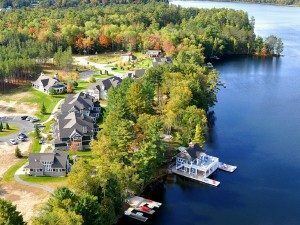 One of the newest entrants to the luxury resort market in cottage country, Touchstone Resort and Spa in Bracebridge offers no end of good reasons to want to visit. Boasting superb views over Lake Muskoka, the region’s largest lake, the resort’s attractive main lodge is where much of the action is. Here you’ll find great dining at the elegant Touchstone Grill (be sure to request a table on the large terrace if available… an experience enhanced by the lake views), a spa, along with such amenities as a fitness center, a heated infinity-edge swimming pool, plus a hot tub, steam room, and sauna. The resort also offers great swimming from its private beach, as well as activities including boating and tennis. Touchstone’s luxury accommodations include a variety of spacious and elegantly appointed loft units and stand-alone villas, some with full-kitchens and multiple bedrooms. Set amidst 86-acres of unspoiled wilderness a short drive south of Huntsville, the adults only Trillium Resort and Spa offers guests no end of pampering and great service. Comprising of just 17 cozy chalets and cottages with either lake views (including one with a view of the waterfalls) or woodland setting, it’s a romantic spot that encourages plenty of rest and relaxation… especially in the world-class spa. In addition to offering fine accommodations and pampering, Trillium Resort and Spa also provides its guests with plenty of reasons to want to enjoy the great outdoors. 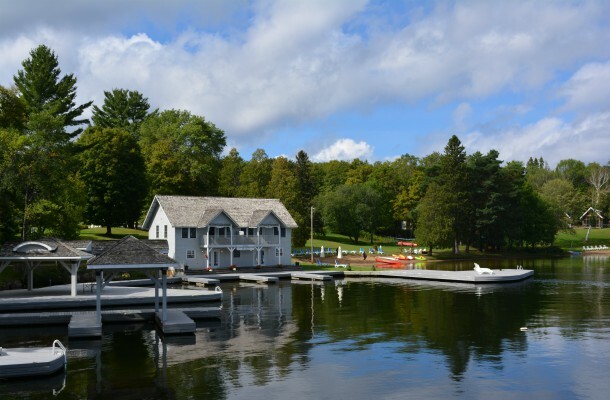 Popular activities include hiking or biking along the resort’s six kilometres of trails, or grabbing a canoe or kayak and heading out for a paddle on the semi-private lake. Other amenities include a fitness center, swimming pool, and a tennis court. It’s also a popular spot in winter with snowmobilers, as well as those who enjoy skating, cross-country skiing, and snowshoeing. 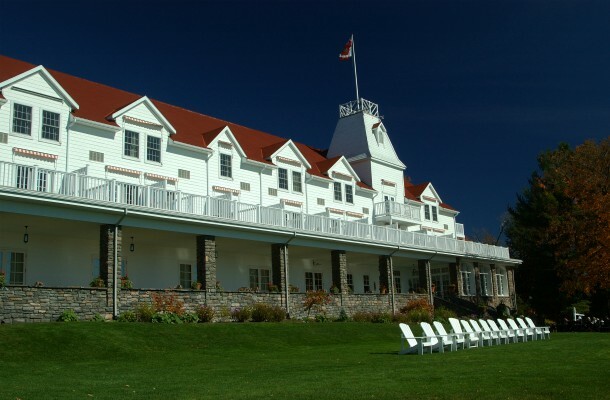 Widely considered one of Ontario’s top boutique-style hotels, Windermere House was originally built in 1870 as a family home, but soon found itself providing up-scale lodgings for the numerous sportsmen and vacationers drawn to the quaint community after which it’s named. 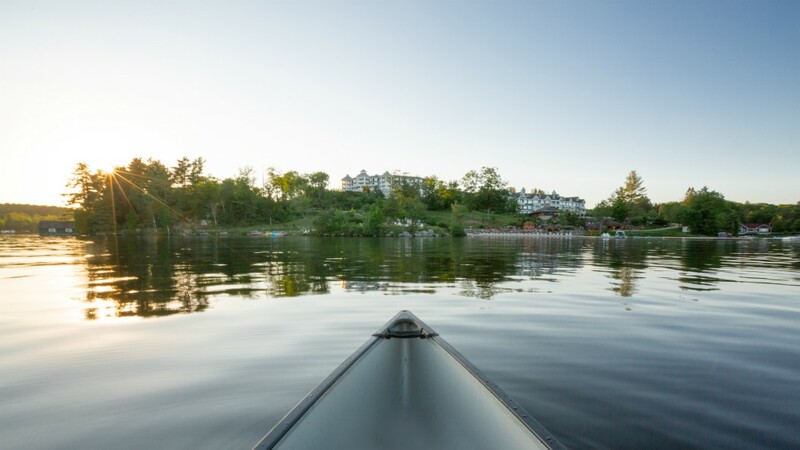 Dubbed the “Lady of the Lake”, this splendid Victorian-styled resort is the chic place for Toronto’s rich to stay when wanting to mingle with the in-crowd of cottagers who have made Lake Rosseau their summer home. In addition to offering excellent dining (be sure to experience a meal on its huge verandah or patio – what views! ), Windermere House offers some of the most elegantly appointed rooms in the region. In addition to attractive standard rooms, a number of large and beautifully decorated suites can also be booked. A highlight of any stay is catching the famous RMS Segwun steamship pull up to the public dock… a real blast from the past that provides a glimpse into the resort’s storied history. Kim Kerr-Dearsley is a Contributor with Luxury Globe Media, a leading source of news and reviews related to luxury experiences, lifestyles, and travel.